So much fun info fill these pages! 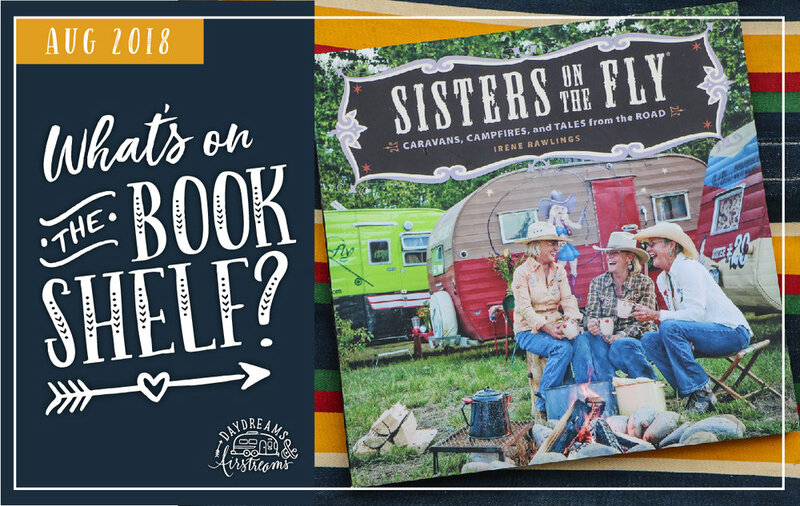 Who are the "Sisters on the Fly"? Adventurous, fun-loving, self-sufficient, outdoor enthusiast ladies from all walks of life that come together with their vintage campers (or tents or cots) and hang out with their "sisters" in nature. A pair of real-life sisters had the idea for this group while fishing in Montana in 1999. Their motto is "We have more fun than anyone!" You can find that story and how they have grown over the years inside this book. Currently, they are the largest women's outdoor group in the country! While I am not much of a fisherwoman, that certainly isn't the point with this group. It is about fellowship, friends, "sisters" and the time they share together. And I can tell from this book that the good times roll when they gather. My Airstream is not road-ready, but these ladies make me want to walk right out this minute and grab ANOTHER vintage camper to hit the road join their camper caravan! And as you might expect, these ladies' campers are just like them—colorful and unique and fun! Each seems to be decked out with the very best vintage junk too. This book is such a delightful book! I am always drawn to books like this. Part of it is contains stories and anecdotes, and part of it has fun instructions for all things camping. There is some background info on the group—how it began, how they found their trailers, etc. The back part of the book contains tried-and-true campfire recipes, crafts for your "spruce up" your camper and all kinds of information on how to make your camping trip a success. There are even "fish stories" too that will crack you up! 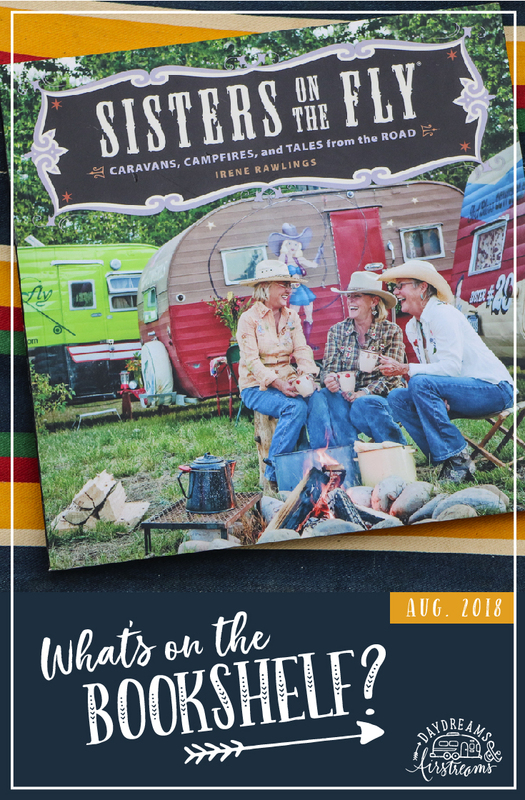 Whether you are you are interested in vintage campers or enjoy reading inspiring stories about women doing what they love, I recommend this fun little book. But a fair warning: it will leave you wanting to join their group! I have to sign-off right now because I plan to do just that!